At the 2018 Annual Partner Summit, 100Kin10 unveiled a completed analysis of the most influential Grand Challenges to getting and keeping great teachers, especially in STEM. The culmination of more than two years of a massively expert-sourced systems-mapping effort, the Grand Challenges is a map of the underlying problems facing the STEM education landscape and the first-ever comprehensive ecosystem of a social-sector problem. The map identifies ~100 critical challenges, organized into seven major themes, and the greatest leverage points for change across the Grand Challenges. Prestige – Scholarships or loan forgiveness for STEM undergraduates who become STEM teachers. Teacher Preparation – Statewide tracking of STEM teacher supply and demand. Elementary STEM Teachers – Teacher preparation faculty with specific expertise in elementary STEM. Professional Growth – The opportunity for teacher collaboration and professional development during the school day. Teacher Leadership – Accountability systems that promote STEM teacher creativity and school leaders who create positive work environments. The Value of Science, Tech, and Engineering – The number and range of STEM courses required in high schools. Instructional Materials – Districts’ identification of high-quality engineering curriculum. 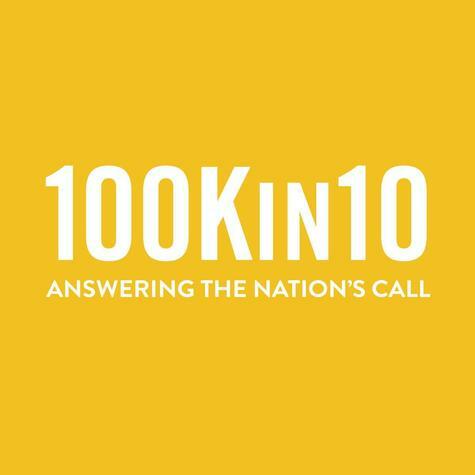 Knowing the catalysts are the most-strategic areas for change, 100Kin10 will work to catalyze progress against them, starting with a priority on three of them that will improve school culture, ultimately increasing teacher retention and satisfaction. Specifically, the three catalysts related to school culture we are mobilizing the network around are (1) professional growth during the school day, (2) opportunities for teacher collaboration during the school day, and (3) school leader responsibility for creating positive work environments. We decided to focus the network on the school culture catalysts based on partner desire to work on these topics; current field-wide activity and interest; research into opportunities for impact; stakeholder evaluation of their value; and the network’s unique position to make change against them. Over the coming years, we will design opportunities that enable our partners to collaboratively make sticky change against these deep-rooted issues. To begin, we invited partners to join and contribute to a brain trust that will collaboratively guide this work through a focused and intensive shared experience in the summer and early fall of 2018.